Is this heatwave affecting your appointment rate? Are your patients reluctant to leave the house? Or are your “no-show” rates higher than normal? 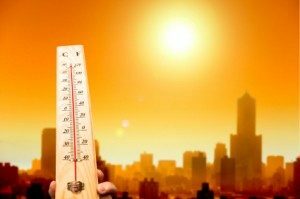 We can’t change the weather – or cool down your city – but we do have recommendations for turning a hot and sticky situation into a positive one for your Audiology, ENT or hearing care practice. Now is not the time to skimp on the air conditioning to save money. Yes, it’s better for the environment – but you need to keep your patients comfortable. Especially when your patients are predominately the Senior market. Is your practice in an older building? Or do you have a room that just doesn’t cool off enough? Bring in a fan. Consider a stand alone cooling unit if its really bad. If your patients are heating up or uncomfortable in your office, it will make the sales process even tougher for you and your chances of losing the sale will greatly increase. Think outside of the Coffee and Tea box. Bring in Lemonade and ice cold water. Make it pretty and appealing. Use a glass pitcher with slices of lemon, lime, orange or mint sprigs. Keep a cooler and ice handy to freshen it up. Chilled glasses would be even better (just keep them in a cooler). Think of cooling snacks too. Peppermint candies. Fresh fruit. If you have a freezer in your office, offer a Popsicle! A little extra effort can go a long way with decreasing the no-shows and not only making the sale, but keeping your patients happy and obtaining the “golden patient” – one who refers! Being a marketing company that caters only to the Audiology and Hearing Care industry, we are (obviously) a niche B2B business and I don’t expect to have thousands of followers. Still, Pinterest is a great way to keep things fun and to add more resources to help our clients be more successful. I was, however, surprised at how few Audiology and Hearing Care Practices I found on Pinterest. 12% of internet users 50+ are on Twitter. Pinterest is a great way to find fun facts, (DIY projects, jokes, fun videos, and tons of creative ideas) and is becoming increasingly popular with the college educated, affluent Baby Boomers. Here are our top 6 reasons why you should open a business account for your Audiology or Hearing Care practice on Pinterest. People use social media to be, well… social. Audiologists and Hearing Care Providers should avoid being too serious in Social marketing. You will only lose interest. Your customers are not going to want to share hearing loss facts with friends and family ever day. Having more “share-able” content is key to building your brand, capturing more followers, and keeping loyal customers interested. Whether those “parts” are daily, bi-weekly or weekly is up to you and your available resources. There are a bazillion different “Pins” related to healthy living on Pinterest. This is a great way to relate “healthy hearing” to overall healthy living ideas while keeping your marketing positive and useful. Create separate boards for different topics. Devote 1 board to “Hearing Loss Statistics” or “Hearing Loss News”. Keep all of your links to hearing loss related articles in one place. Then your customers are able to reference this information at their leisure. Not only do the stats look good. (We’ll repeat that for you again) studies show that Pinterest users tend to be college educated and in a higher income bracket over Facebook & Twitter. If you have ever used Pinterest, you already know that it is filled with people looking for better living solutions. Make sure you are putting yourself out there too! Twitter: 10% of baby boomers and 2% of 65+ seniors, for a total of 12% of 50+ers online. Pinterest: 12% of baby boomers and 4% of seniors; for a total of 16% of 50+ers online. When you sign up for a business Pinterest page, you are able to easily link your Twitter & Facebook accounts to Pinterest. When you create a new “Pin”, simply select a checkbox to also post on Twitter & Facebook. When your customer wants to upgrade, or have a friend with a hearing problem, it should be your Practice that comes to mind. Keeping yourself in front of your customers, whether it is via Pinterest or any social media, will keep you “top of mind”. Just keep it fun and light so you are not put on ignore. Contact us for more ways to keep your business “top of mind”.